When telling others that I live in Istanbul I usually get a collective “oooo” and “ahhhh”. Istanbul has an air about it and even if a person has never been here or has just flown through the airport going to another destination it has a magnetic resonance as a place people know they want to experience. I feel very fortunate to have been able to live here for over 3 years now. After living in several major cities in the US, Europe, the Middle East and Nordic areas, I definitely have had the experience of a lifetime here and certainly no other city compares. Among other amazing attributes the huge level of genuinely kind people, amazing culinary arts (the connection to incomparable Mediterranean food and its history) and the dynamic atmosphere of the city makes for a life in a place of extraordinary quality. Istanbul, is a city comprised of 260 sq. km (100 sq. miles). It has a rare transcontinental span, 15 million residents and a 2,600-year documented history. 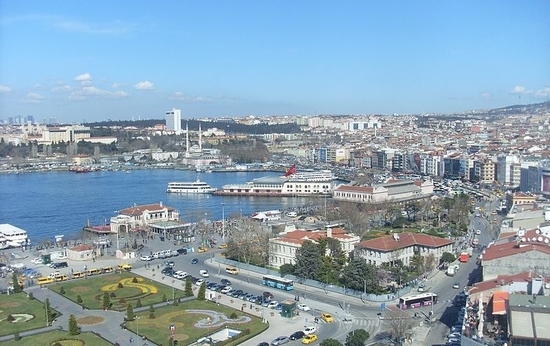 The city spans the Bosphorus straight between the Sea of Marmara and the Black Sea. The city of 'seven hills' offers huge choice in terms of great neighbourhoods to live in and explore. The European side of the city is a main area of focus of the metropolis, which includes the old city, that has historically been the centre for Istanbul in terms of culture. Beyoğlu, and more specifically Taksim Square in Beyoğlu, is considered by most to be the very centre of Istanbul. A transportation hub, the main artery, the pedestrian only İstiklal caddesi ("caddesi" means street) shopping, dining, entertainment, and night life makes living near this area a great starting point for foreigners wanting to fully embrace the lively Istanbul experience. Nişantaşı, an older elite Istanbul quarter, has high-end shops, restaurants and rentals, very near the Beyoğlu vicinity. Expats love the area of Kurtuluş (which means "Liberation,") they love it just for being a typical Turkish neighbourhood it is filled with small family owned shops (often times for many generations), super authentic kebab "ocak başı" restaurants, charcuteries, and shops filled with very natural food and interesting Turkish original items that cannot be found generally. This area is also very close to Ferikoy where the city's oldest outdoor green market is every Saturday and on Sunday there is an antique bazaar also. A major decision for anyone wanting to move to Istanbul is whether to live on the European or Anatolian side of the Bosphorus. While the European side has a more fast paced business-like and touristic focus the Anatolian side (also called the Asian side) feels more relaxed, with wider rambling streets, less hills and very active sea shores. The Anatolian side also feels more Turkish, with more traditional neighbourhoods and far less tourists. There are neighbourhoods that have a lot of history from long times ago like Moda - it was considered kind of crazy to live on the other side of Byzantium (the old name for Istanbul) but the view was amazing so people were happy to take the criticism - the area was then named Chalcedon, it was named after the stone that was mined in the area. Moda in Turkish means "fashion" and the municipality of the overall area is named Kadikoy. This is a very busy area right off the pier where ferries from many different areas come in. Moda has an amazing fish market that is 100 years old, blocks away from the ferry station. The fish market draws a lot of people, some travel to Kadikoy simply to shop there, as the products sold there are rare. The fish market is also filled with interesting shops and wonderful cafes and incomparable Turkish restaurants. There is an Opera house in Moda and many theatres as it is a very artistic area and just a ton to do in terms of night life. There are 2 areas that are called “Moda Beach” by locals that wrap around Moda. Exquisite sunset views are highly attended daily and they are seen best from wonderful tea gardens that are also filled daily with people, as having 'çay' out in a cafe is a main point in Turkish life. People spend days and nights on the grassy lawns or rocky shore and attend events there. The municipality takes great care of the huge open park, which is inclusive of a cove area named Yoğurtçu Parkı. The further up the Bosphorus you go towards North of the Black Sea, areas are calmer and more exclusive. Magnificent views and enjoyable places are Bebek and Tarabya on the Bosphorus strait. Commonly Americans live in Gokturk, near the Belgrad Forest. Geographically Istanbul is huge and has exquisite natural areas so, some of the best opportunities for exploration in Turkey are right in the city. A short distance from the city centre are the Princes’ Islands and they can be reached easily by ferry. Generally, cars are not allowed on the Islands and horse and buggy is how one might 'take a taxi' there, as it can be very hilly. Many expats choose to live on the islands for the fresh air from the sea, the beaches and the calm but also for the unique adventure of living on an Island. 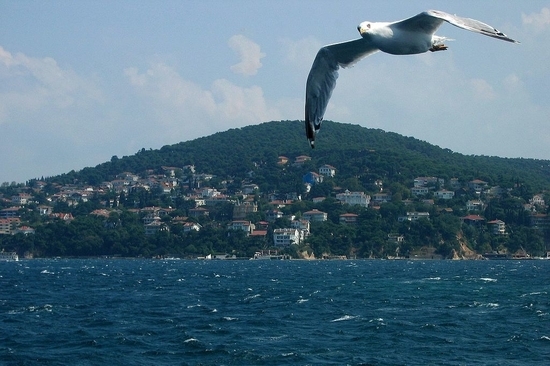 Each Island has a very different feeling, there are 4 Islands and Burgazada is where most Expats live.